Cruise ship passengers customarily leave tips for the staff in appreciation of their hard work and stellar service. While cash envelopes used to be the preferred choice among passengers for thanking staff members who directly served them, cruise lines everywhere have transitioned to pre-paid gratuities.This ensures all employees contributing to a passenger's memorable experience—from those seen each day to the ones behind the scenes making the magic happen—are justly compensated for their care and attention to detail. The issue is sometimes agents exclude this prepaid gratuity in order to appear cheaper to prospective clients, not realizing the negative impact this can have. While some travelers still insist on tipping after their experience, and some travel packages may not include automatic gratuities, pre-paying is the most beneficial method, for everyone: yourself and your clients included. Passengers don't have to worry about money. One of the main benefits of pre-paid gratuities is that cruise ship passengers won't have to think about money at all while on vacation. No tipping waiters, room service attendants, or anybody else. It's all taken care of. There's a chance cash will be pooled, anyway. If a passenger's account shows they've removed auto gratuities, it's likely that any tip given to specific staff will go into a pool, anyway, for equal distribution among employees. Just as with restaurant staff, cruise ship employees rely on tips to make a comfortable salary, so it's important that passengers compensate them for their hard work. Passengers can still tip exceptional individuals more. If a passenger wants to give specific staff members more for extraordinary service, they still can, with extra cash. Excluding gratuity to appear like a cheaper rate is disingenuous, and will make your clients upset with YOU when they get their bill. Removing auto gratuity to make a cruise rate appear less expensive is simply bad business. Not only will passengers be surprised (and annoyed) when they receive their gratuity bill at the end of the trip, but cruise lines might not want to work with agents who purposely do so. Suppliers may not want to work with you. If you regularly cut out gratuities, it's very possible that suppliers will opt not to work with you in the future. Excluding gratuity could hurt the positive reputation of InteleTravel. 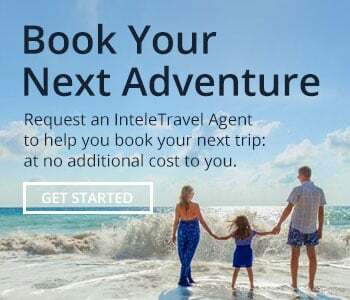 InteleTravel Agents are known as being reliable and professional, and if agents as a whole keep up this practice of excluding gratuities, that could hurt the overall brand name. This would, in turn, affect ALL agents, including the ones who always include gratuity.